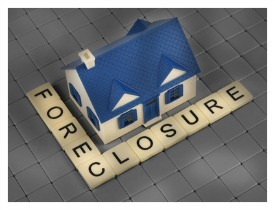 If the property next has been vacant forever and waiting for the lender to foreclose. Governor John Kasich signed the bill last week (H.B. 390) aimed at speeding up the foreclosure process in Ohio. Now we must wait 90 days until the bill becomes law. So if the you have suffered through living around a vacant property with weeds and growing everywhere, vandals attempting to steal the contents and the blight affecting your property values- relief may be on the way. And finally, after years of problems with lenders taking care of blighted properties, the U.S. Senate may finally consider new rules governing the maintenance of abandoned/foreclosed homes. Currently in the greater Cincinnati real estate market the only recourse is for neighbors to complain to local authorities about blight issues and based on local zoning rules, the local government can step in and cut grass. Not much relief when you have a property next door to you with busted windows and gutters overflowing with junk. The delay in getting the foreclosure messed resolve in Ohio ( and other similar states) can be partly blamed on the fact that Ohio is a judicial state– all foreclosures must be processed through the court system. And, not surprisingly, about 2/3 of the 20 states with foreclosure inventory rates about the national average were judicial states. 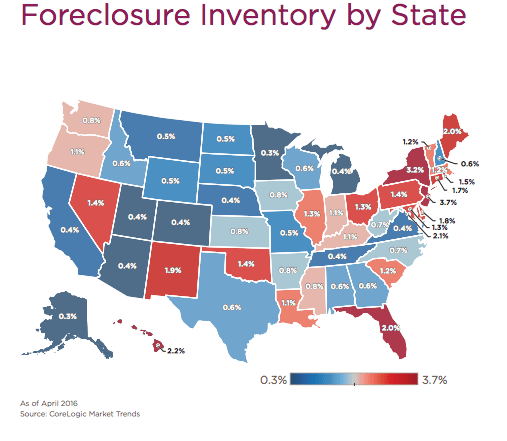 According to numbers published by CoreLogic at the end of April, 2016 1.3% of the Ohio inventory are foreclosures. The change is -16.4% from 12 months earlier and the number of 23,017 foreclosures were completed from April 2015-April 2016. And 3.5% of borrowers are considered to be seriously delinquent which means more foreclosures are on the horizon.